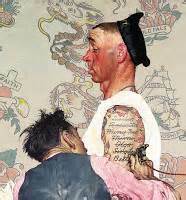 Lawyers and tattoos have not traditionally been very closely linked. But with tattoos becoming commonly accepted, even lawyers are getting tattoos. But, true to our profession, we lawyers contemplate much more than what type of design we want – we think about safety, responsibility and liability. Unfortunately, a tattoo done in unsanitary conditions or with contaminated ink or equipment can result in nasty infections that can result in scarring, serious health problems, and in extreme cases, even death. Both the FDA and the Florida Department of Health have issued recall warnings that certain contaminated tattoo inks are in circulation. The inks are sold under the name “A Thousand Virgins” grey wash shades G1, G2 and G3 and should not be used. The bacteria found in the recalled ink can cause an infection that could spread and become severe enough to require extensive treatment and hospitalization. Anyone with a new tattoo should seek medical attention if they develop redness, swelling, itching, raised blemishes or pain in the tattoo area, or swollen and tender lymph nodes. The risks associated with contaminated inks are very serious and include sepsis, an infection of the body’s blood supply which can be life-threatening. Our advice is to think of getting a tattoo just like you would think about having out-patient surgery. Before getting into the tattoo chair, make sure to do your homework. Tattoo parlors are subject to routine state inspections and you can look up inspection records on the Florida Department of Health website. So, in addition to finding a tattoo artist that does great artwork, find one that is properly licensed and insured, and maintains a safe, clean environment whose ink and equipment comes from good, reputable sources. After getting a new tattoo, take proper care of the area and get medical attention right away if symptoms of an infection develop. We also encourage you to report any unsafe conditions or adverse reactions by calling the Florida Department of Health at 850-245-4401. Finally, please contact Heintz & Becker for a free consultation if you or someone in your family suffered a serious injury after getting a tattoo. We want to welcome our readers to the first installment of a brand new series of Boating Safety blogs we are launching on our Heintz & Becker website and Facebook page. 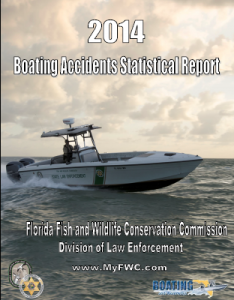 Unfortunately, the State of Florida, which leads the country and has more boat registrations than any other state, also led the country in 2014 and had more boating related accidents and deaths than any other state – the majority of which could have been prevented. How can this be? Well, for starters, Florida’s boater safety education requirements are minimal and apply only to individuals born after January 1, 1988. That means it’s perfectly legal for anyone born prior to that date (i.e., the majority of us) to drive a boat without having had any safety training whatsoever. What that means is that it is left mostly to individuals to voluntarily attend safety courses and learn how to safely operate and navigate their vessels. Being able to enjoy boating is one of Florida’s top recreational attractions. But, going out on a boat is not all fun and games – and anyone going boating is putting their life in the hands of the person driving. So, the message we want everyone to get from the initial blog in our new series dedicated to boating safety is to ALWAYS make safety a priority and NEVER go boating with an inexperienced or irresponsible driver. While it is our sincere wish that you and your family never experience a boating related accident, if you or a member of your family is ever injured on a boat due to the negligence of someone else, please make an appointment to see one of our attorneys to discuss your legal rights. Losing a family member or friend to a car or motorcycle accident is devastating and changes everything. Everything that is, except the love of family and friends. For those left behind, roadside memorials can be a great comfort, marking the location where a loved one died and preserving their memory with messages and mementos. After the tragic death of 18-year-old Kyle O’Halloran on Christmas Day 2014 on 24th Avenue West in Palmetto a large roadside memorial was created with an umbrella and an empty chair at its side so visitors could sit and reflect. But to others, the memorial created safety and maintenance concerns, leading to a proposal put to the City of Palmetto to regulate roadside memorials and limit than to basic round white signs, much like the ones the Florida Department of Transportation allows to be placed on state road right-of-ways. City officials acknowledged the safety issue, but after holding a workshop on the sensitive proposal they decided to remove the item from their meeting agenda and discard the policy – leaving things as they are and in the hands of Code Enforcement and Public Works. 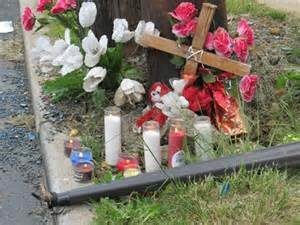 While some people might say the proposal to regulate roadside memorials was a waste of the City’s time and money, the attorneys at Heintz & Becker believe the community discussion brought much needed attention to the grief and suffering of families and friends who have lost loved ones due to traffic accidents. If you suffered the loss of a family member as the result of a car or motorcycle accident caused by a careless, distracted or impaired driver, please contact us for a free consultation.